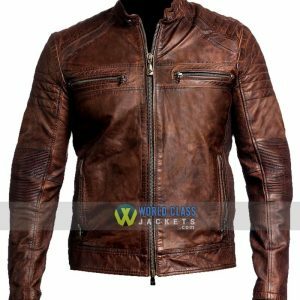 It Is Very Difficult To Make the Decision to Wear Outfit for Any Unexpected Occasion, But WorldClassJackets.com Made It Easy for Our Valued Customers by Introducing Celebrity’s Jackets Design. 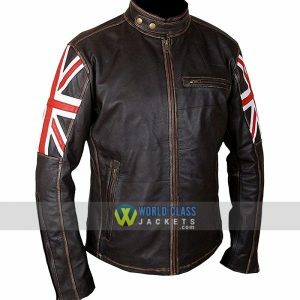 These Jackets Designs Picked From the Best Hollywood Movies & Celebrities Costume. Dylan O Brien is no doubt a super stylish, good-looking and talented Celebrity in the Hollywood. He was casted in the hit movie of the year 2017. 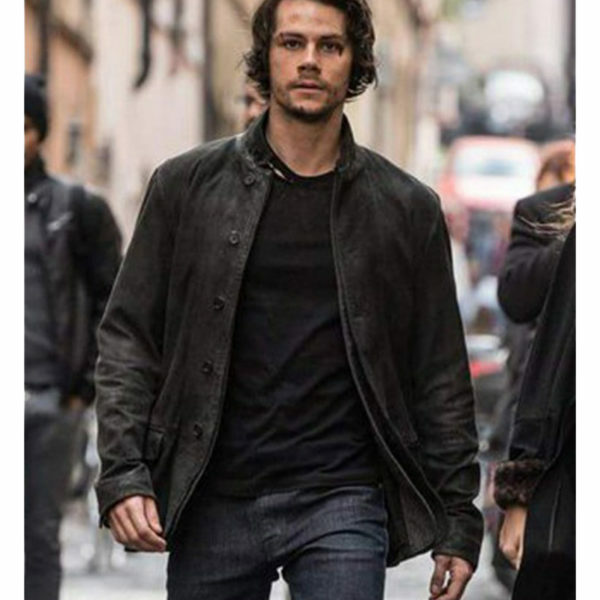 He was seen wearing the super stylish and awesome black colored American Assassin Mitch Rapp Leather Jacket. The jacket soon became pretty popular among the fans of the gorgeous Dylan O Brien right after the movie was released. 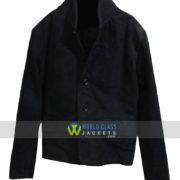 The jacket is so sophisticated and amazing in all the ways that we decided to recreate it for our valued customers. 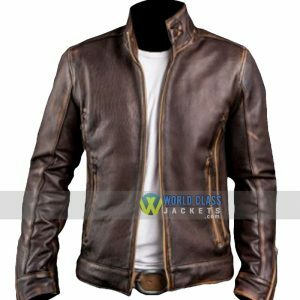 We Are Offering Special Discount of 25% OFF on this American Assassin Mitch Rapp Black Leather Distressed Jacket. Get This Awesome Offer and Buy This Distressed Leather Jacket and Save $60. 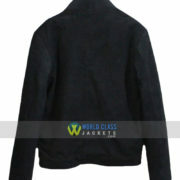 Female Version of this Black Leather Jacket is also Available at Store. It wouldn’t be wrong if we call the American Assassin Mitch Rapp Jacket magnificent. From the stitching to details, everything is finished with such perfection and beauty that you cannot resist from admiring it. In the movie, Mitch Rapp is a character played by Dylan O Brien and he performed tremendous acting in the whole movie. The closure of this Movie Jacket is buttoned. 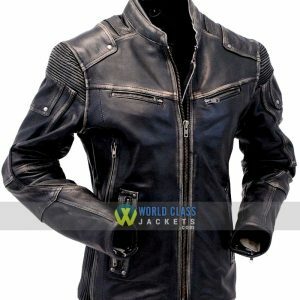 The buttoned closure enhances the look of the jacket and also provides the screen accuracy to the jacket. The inner of the jacket is lined with viscose. 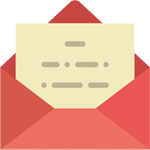 The outer part is made out of high-quality Real Leather. There are two side pockets at the front of the jacket and two inside. 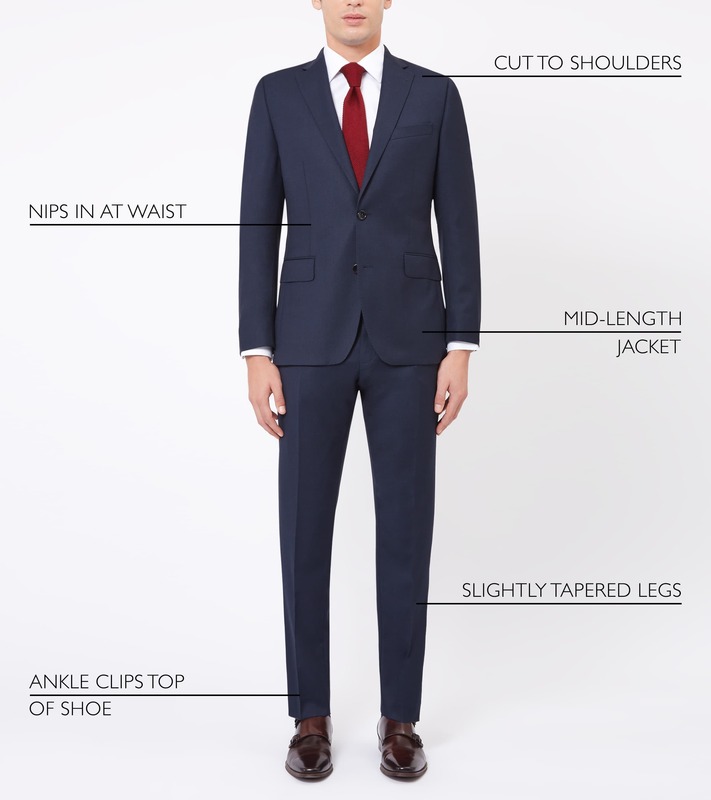 The collar is stand-up styled as this style never goes out of the fashion. The sleeves are of full length making it the winter perfect jacket.